Whether it is a bonfire night BBQ or a family special occasion, hiring in holiday cottage catering can be just the icing on the cake for a special occasion celebrated in the Lake District. And we know that special occasions in the Lakes are just the best, from New Year’s Eve parties, Anniversaries and Birthdays to Baby Showers and reunions, we love a reason to celebrate with loved ones. Here are some drool-worthy holiday cottage catering services offered across the Lake District. Book your guests onto a leisurely lake cruise, and delight friends with a delicious artisan Deli Bag Lunch from The Lakes Catering Company. Take in the tranquil experience of a lake steamer whilst breaking into a Cumberland Sausage Roll or homemade Beef and Horseradish with Red Onion Pie. Enjoy the scenery as well as a delightful chunk of local creamy Appleby Cheese with locally made chutney and homemade bread roll, washed down with mineral water from Cartmel, and moreish traybake. This Deli Bag is a novel idea and brings a sense of delight to any occasion. 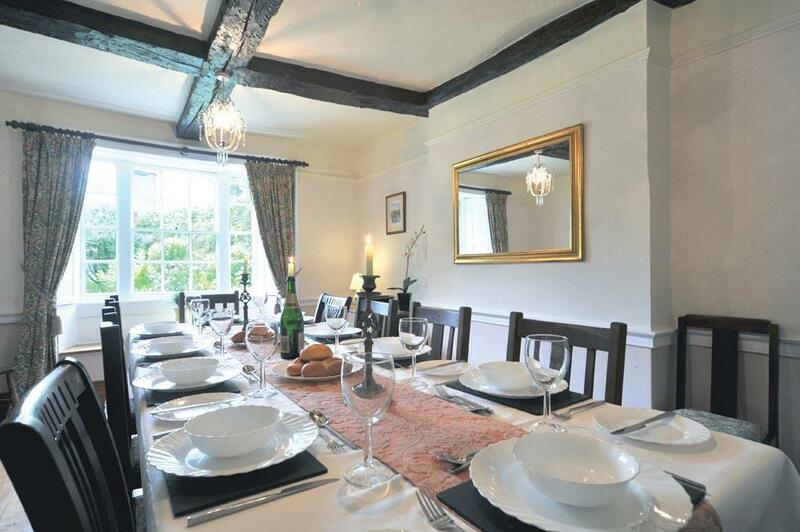 For large group catering, their Canapes or Buffet options are ideal and the beautiful dining room at Roger Ground House, Hawkshead, is perfect for a spot of Afternoon Tea, courtesy of the Lakes Catering Co. Fancy trying before you buy? Head to the Cafe in the Courtyard at the National Trust’s Claife viewing Station where you can sample Lakes Catering Co.’s simply delicious homemade pies as well as ‘the best view and brew in the Lake District’. For large group and occasion events, Fox Catering deliver a real ‘foodies’ style of catering. These catering consultants plan and deliver dining for large events to some of the very finest estates and country houses in the Lake District, and so know a thing or two about fine dining in scale. Fox’s don’t just serve the dining table, however. They will bring an extra special element to a bonfire night BBQ or New Year’s Eve celebration. 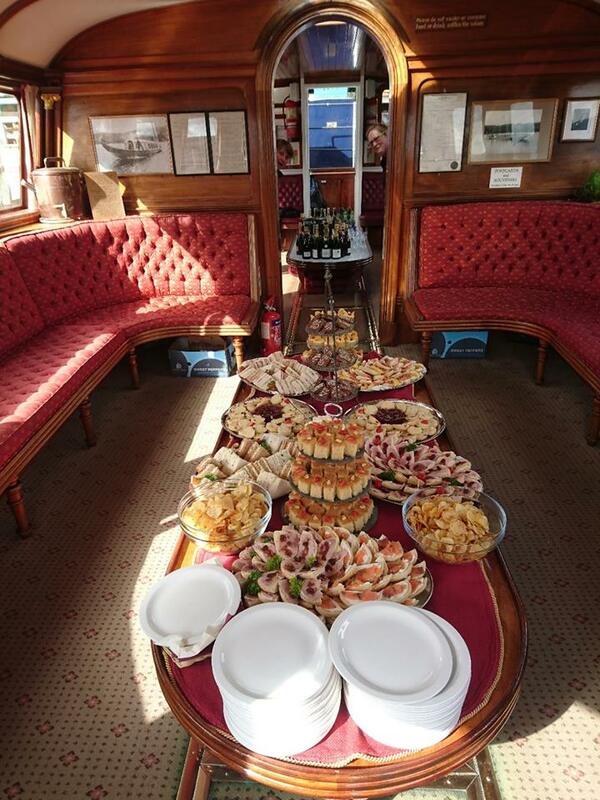 If you fancy taking your special occasion up a notch on the splurging-out scale, then why not privately hire the newly refurbished Victorian Coniston Gondola or a steamer on Windermere and treat guests to a gourmet buffet from the Lake District’s famous Wilf’s Cafe, as they sail. Alternatively, for small groups, 8 or more, where you want to enjoy the formalities of a home cooked dinner, but without the hassle and with feet on dry land, then head to Wilf’s to pick up high quality frozen homemade mains and desserts that can be collected from the Wilf’s Away menu! Plus, you get the added bonus of enjoying the beautiful river-side views that are so special to this popular cyclist’s haunt. If you’re planning a more laid-back and relaxed get-together, then Wilf’s home-delivered buffet service is an ideal alternative, where you don’t even have washing-up to worry about. Bring some catering spirit to your Christmas or an unexpected gourmet bang to a bonfire party with the help of some expert Lake District party catering. Do get in touch with our customer service team on 015394 88855, via our Facebook page or email [email protected] if you’d like help planning your special occasion in the Lake District. I am looking for someone to cater for a party of (probably) 15 people on the evening of 4th August at Penruddock near Keswick. It would need to be a buffet-style meal I think as the house couldn’t seat fifteen people. It isn’t clear whether you would do an event in the North lakes but if you can can you give me an approximate cost and sample menu.